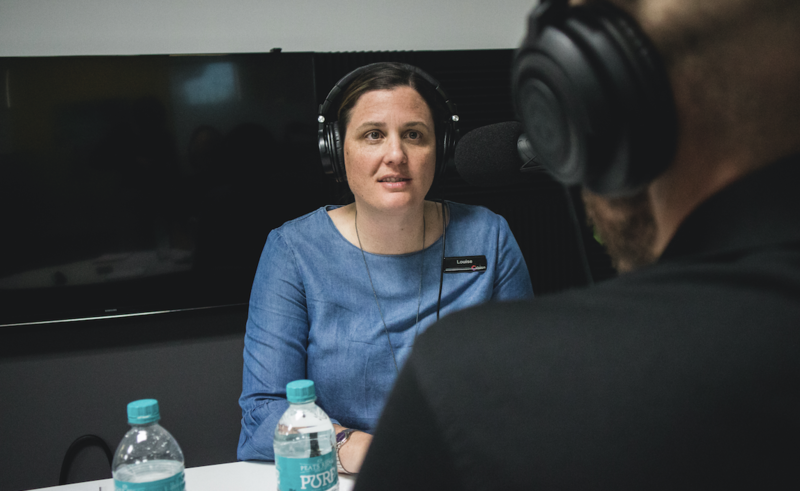 Work experience, motivation, challenges and triumphs – listen in to see what lessons they’ve learned leading a community service organisation with more than 1,000 employees and volunteers. “I grew up thinking I wouldn’t work in community services!” Louise chuckles. But despite travelling across the globe, working in several different industries, and all the while considering options outside community service, she found a happy home making a difference at Chorus. Louise grew up in the UK and her first exposure to community service came early. Her parents provided respite care for children with disabilities. She later enjoyed some work experience in community service at age 14, but aside from that, didn’t aim directly at a career in the sector. A move to Australia in her early 20s found Louise doing community service on her pathway to permanent residency, and from there she moved to a position managing houses for people with disabilities in Sydney. Like Louise, Dan didn’t start out with his heart set on community service. Dan grew up in Perth and earned a degree in Philosophy. “Doing something like that teaches you how to think morally and conceptually – but it’s not very useful in a business sense,” he laughs. Perhaps that’s why his path was wandering; Dan worked first as a Journalist at the West Australian, then in the field of microwave electronics, followed by a stint in Melbourne in biotechnology and eventually back to Perth for management consulting. As a management consultant, Dan worked increasingly with major home health care organisation Silver Chain. 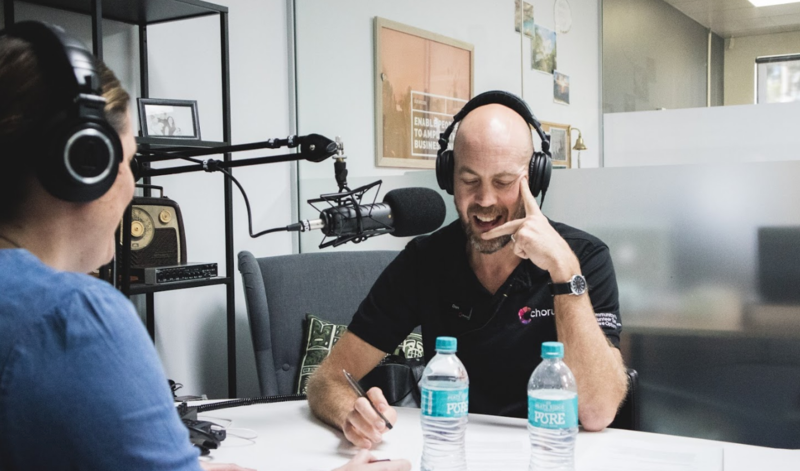 He went from consultant to employee, helping the company during a phase of rapid expansion from Western Australia into New South Wales and Queensland. Dan became part of Chorus technically before it existed – he joined as the CEO to help solidify the merger between three separate community service organisations that combined to create Chorus. For both Dan and Louise, it was not short-term goals like career advancement, or external motivators like financial gain, that led them to community service. It was an alignment of values and a desire to make a difference. What motivates Dan and Louise now? The short answer for both interviewees consists of two simple pieces: being challenged, and making a difference. For Louise, the challenge has always been to keep a community service organisation organised and properly motivated. One of her most exciting difficulties came when she took her first leadership role in the sector at a place called Care Options in June 2016. “Within weeks of starting at Care Options, there was a merger on the table,” she remembers. Louise’s motivation comes from the difference she makes on a daily basis at Chorus, and from the inspiring people she works with. Dan has found challenge and excitement as a leader for Chorus. He cites providing motivation as one of the most stimulating obstacles. Every non-profit has a tremendous opportunity to do good, but each one also faces the challenge of complexity, longevity, and in some cases – eventual failure. When asked to think about what’s most difficult in the community services sector, Louise and Dan both cited the tricky balance between challenge and impossibility. 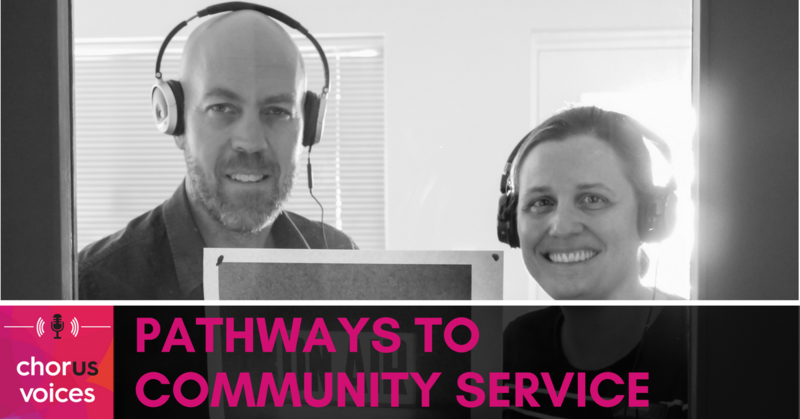 Dan and Louise speak from their experience, their years of work in the community services sector, their recent journey through a complex merger and the formation of a new organisation that solves problems in new ways – and share some of their learnings. Stay true to yourself, be honest with yourself and others. Don’t get bogged down in argument or complaining. If you can build a place that people feel is safe to communicate in, and a place full of trust, you can always find a way over any obstacle. Be true to yourself and authentic with others, as a starting point. Make a decision to be the authentic version of yourself. If there’s nothing to hide, a lot of the challenge goes away. If we can share that knowledge with a whole workplace – to be your whole self – we can achieve just about anything. And creating THAT place has been a motivating aspect of work for Dan.